Connecting the dots for an AMCAT testimonial - what drew Jai Kesharwani to his current role as a business analyst with Dollar Advisory in Indore. How this 2017 graduate became a business analyst in his fresher job. Client handling, servicing, a broader business vision and a strong grasp on the market – if that’s where you see yourself, then you may be thinking of a business development or business analyst role in your pursuit of fresher jobs. A rising career opportunity in the wider ambit of non-tech roles and in marketing jobs for freshers, positions for business development seek graduates who can bring new thinking, quick executions and hard work to companies. 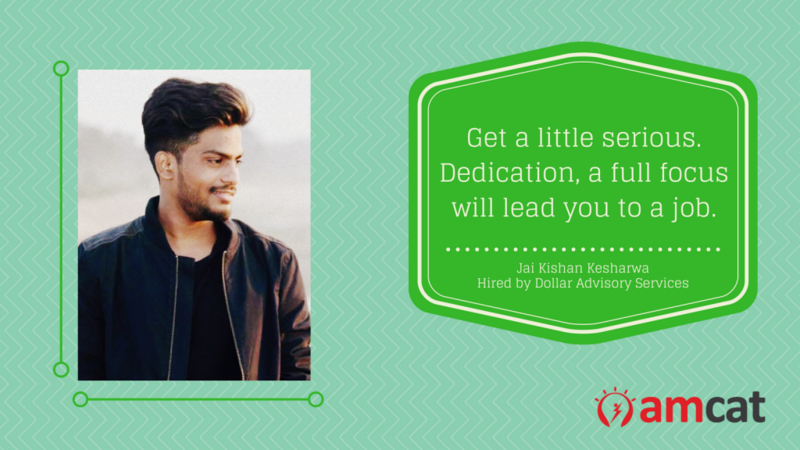 And that’s what first drew Jai Kesharwani to this position with Dollar Advisory and Financial Services in Indore. An avid traveller and blogger, Jai Kesharwani knew his strength – he liked to socialise with people. So, when he found a career through the AMCAT test, it was this that led him to finalise on the position. That and the relative closeness to his hometown, Bilaspur. But we’re getting ahead of his story. Near his graduation this year, he was not having a good time in campus placement. 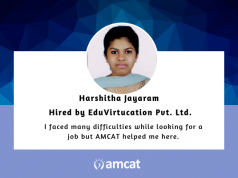 Jai’s experience in giving the AMCAT test is one of the two forms in which students normally take the test – though this version is more known in engineering college campuses. 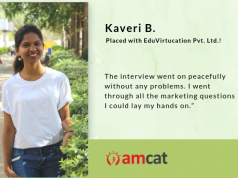 He was part of an on-campus assessment, where colleges team with Aspiring Minds to hold the AMCAT test and look for fresher jobs for their students on campus. 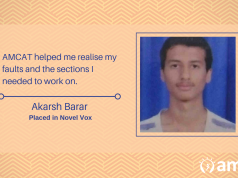 He and the rest of the students were led to the on-site test centre, where an AMCAT volunteer helped them through with all the formalities for the skill assessment test. After the test, he claims to have received dozens of interview calls, till he was shortlisted for the business analyst position in Dollar Advisory and Financial Services. The face-to-face interview had an HR round and a final round. “The interview process was very fine”, he shared. And that’s how he made it through. Liked our achiever diary for the day? You could find your own journey here – consider scheduling an AMCAT test for yourself today.